This week is a short tip, due to some required domestic repairs around the house. 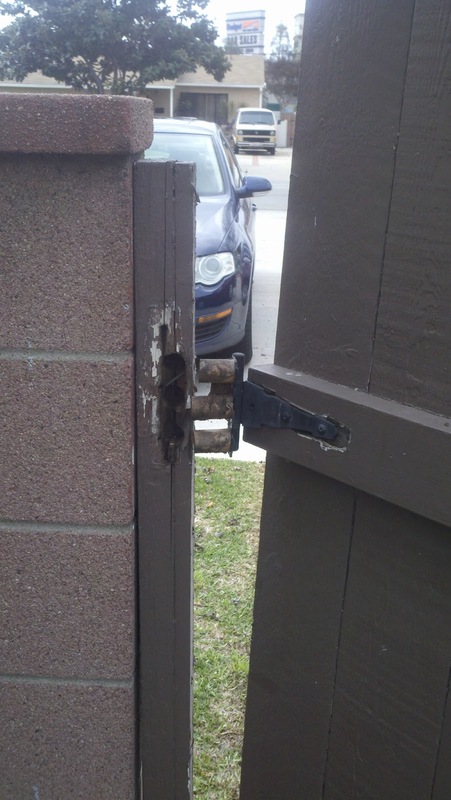 A gate pulled out its hinges, so a big part of my blog time was spent fixing that. All that's left is the painting! 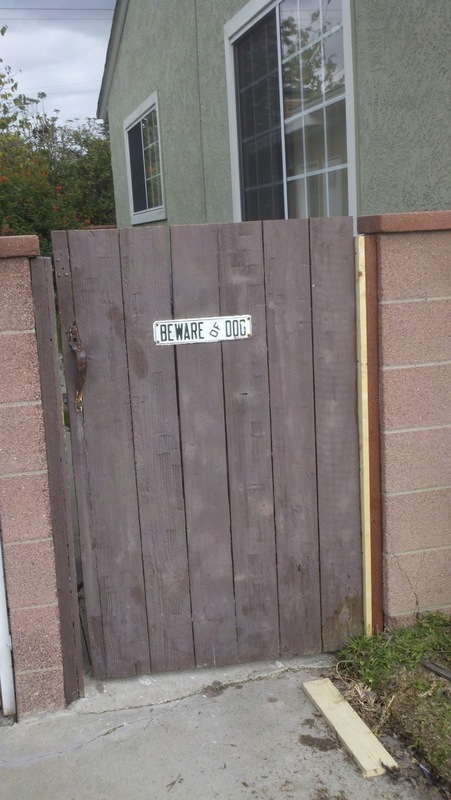 Fortunately the gate is repaired, except for a little paint, and there's still some time left for blogging! 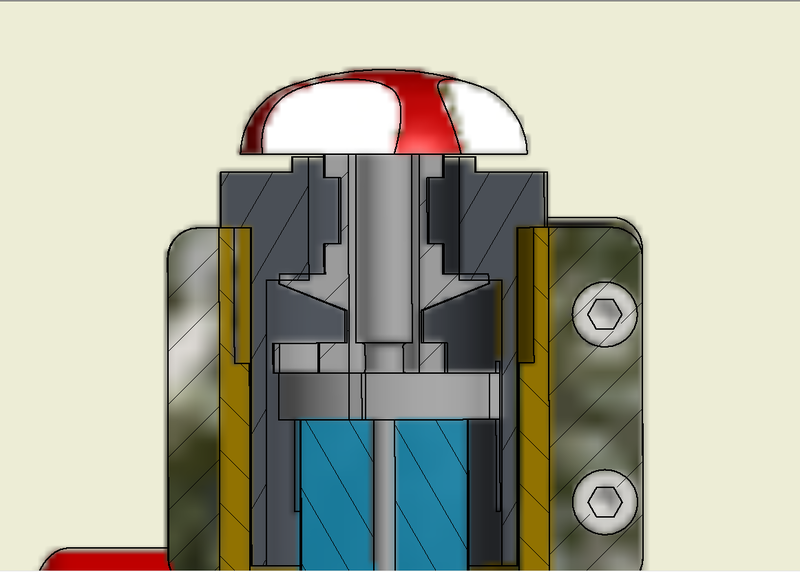 One tip that I've always thought was helpful was how to set Autodesk Inventor's drawing settings to get the crispest shaded view possible. It's one of those settings I usually check right away. Sometimes, when zooming in closely on a shaded view, the colors appear blurry. It's almost like water colors were used to create an artistic effect. 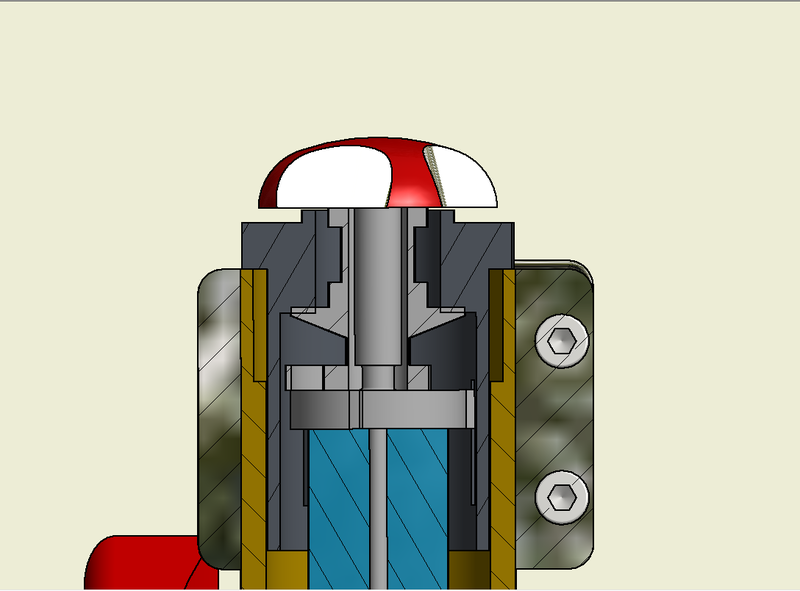 In this example using the section view of a bicycle fork, the colors can even run into each other, making it more difficult to see the components clearly. 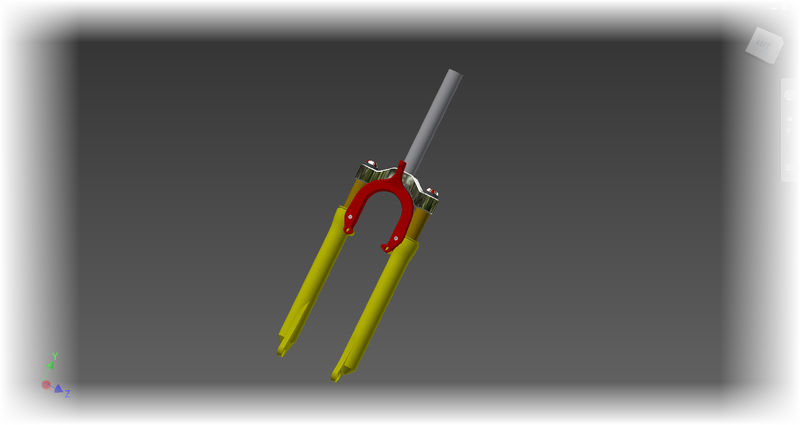 The bicycle fork used in this exercise. The colors bleeding together on the drawing. It would be nice to clear these up. Fortunately, this isn't a difficult setting to change. First, find the "Tools" tab, and choose "Document Settings". 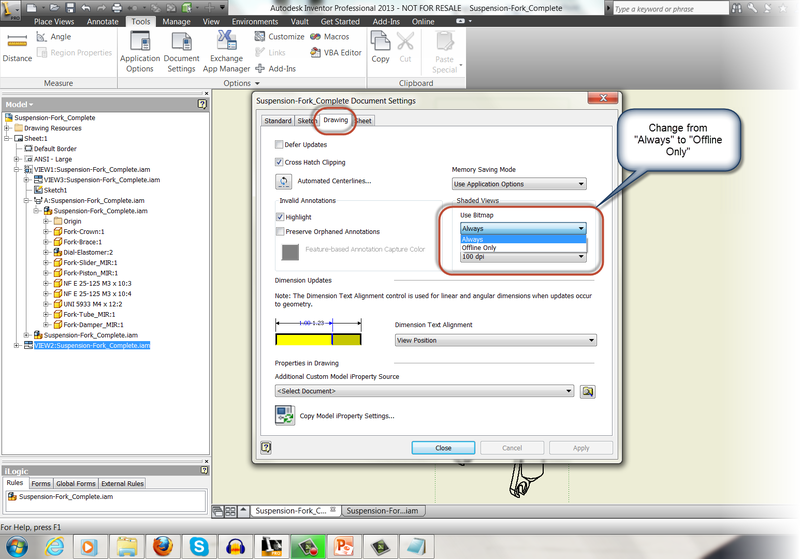 On the Document Settings dialog box, choose the "Drawing" tab. On this tab will be a section simply called "Shaded Views". Change the "Use Bitmap" option from "Always", to "Offline Only. Click okay, and check out the section view. Much better! There is one more tip, however! If you want this setting to be used in all future drawings, check the drawing templates and make sure the setting is changed there! This will make sure any new drawing is using the desired shaded view setting! And of course there has to be a video to go with it! So below you'll find the video version of the tip. And one more video, purely for fun! Here's a video of the Planes of Fame F-86 Sabre and Mig-15 flying formation at the Living History Event on February 2nd. The camera perspective is really cool! I thought it was really interesting to see the leading edge slats on the F-86 working!